Email (along with text messaging) is still the #1 way to directly reach your members. Even with smartphones and apps and social networking as popular as they are, most people still use their phone for checking email (and texting) more than any of these other forms of communication. Great question. Just to clarify, Flocknote is not supposed to replace your personal email account. But when it comes to sending email to large groups and doing so across many ministries and even more ministry leaders, simply trying to use your personal email account (via Outlook or gmail, etc.) can get you into some trouble and is very limiting. Gathering addresses – They don’t know the best ways to start gathering email addresses from their members in the first place and how/where to store them efficiently. Getting people subscribed to the right lists (so they get only the information they want) – Once a church has gathered email addresses for people, they don’t have a good way to get them onto the distribution lists that the subscriber wants/needs to be on. Managing lists (bad emails, unsubscribes, legal, etc.) – Once they do manage to get people onto the many distribution lists a church may need (i.e. one or more for each ministry, dept. etc. ), they don’t have a way to easily and effectively manage those lists. If emails go invalid or “bounce,” they aren’t tracking those properly. They aren’t giving members a way to easily opt in and out of those lists – which is (among other things) a legal requirement for organizations sending out a lot of email. Bulk email on your email server? – If a church hasn’t run in to this challenge yet, they inevitably eventually do…they get their web server blacklisted. If you are regularly sending out bulk email to 20, 50, 100 or more people at a time (and many are sending out much more than that) then you really should be using a proper bulk emailing service when sending such messages. If you don’t, ISP’s may start to view your web server as a spammer or other undesirable and will downgrade or blacklist your server. That means that all of a sudden a lot of the email you send out is much more likely to go straight into recipients’ spam folders or not even reach them at all. It can cause a lot of other problems for your web presence, too. Most church email servers were simply not set up to send out that much email. Sharing lists, building upon them and “turnover” – When you have staff turnover, what happens to the distribution lists that the out-going person built? It’s very common that whatever they were using to communicate or send out info goes with them and the new person starts all over again from scratch. Additionally, are you able to easily share and build upon your various email lists among your leadership team? Or do you have to send information to one person and then trust that they’ll forward it along their own channels? What if the pastor wants to send something out to everyone? Does he have direct access to easily reach everyone? Most churches don’t have a way to piggy back and easily build new, wider distribution lists from the few smaller ones that each ministry already maintains. Team use – Churches seldom have a communication tool that can be easily used by a team of minstry/department leaders. There is usually a bottle-neck of only one person who has access or knows how to send out information. Instead, you need a system that gives each ministry leader appropriate access to the distribution lists that they need to run their ministry — whether it’s for long formal newsletters or just quick reminders/announcements. And each ministry leader needs an easy way to let other co-leaders utilize those distribution lists when necessary along side them. Accessing them when you need them – Can you only send out information from your own computer at the office. What about when you are on a trip? Or traveling? Or at home? And from any device? Sending professional looking email – Church email is often very unprofessional looking and not reflective of the vibrant, important, joyful mission. 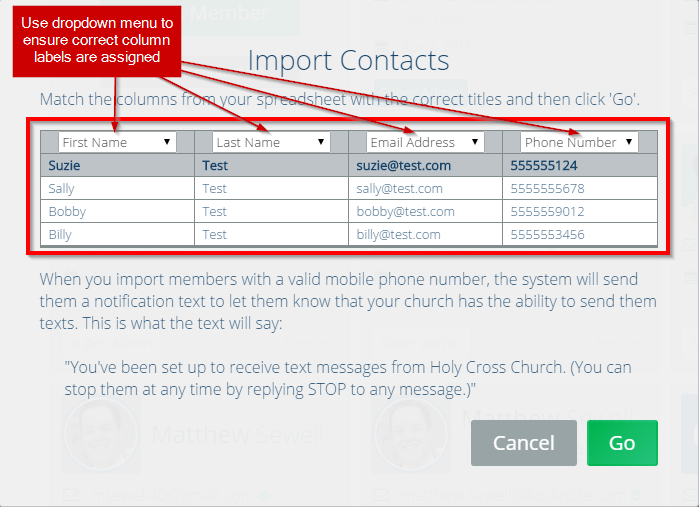 Tracking success and results – Once churches send email out, that’s usually it. They have no way to practically check how many people it reached, who read it, when they opened it, whose email bounced, etc. They have no way to track the results of their email communication. 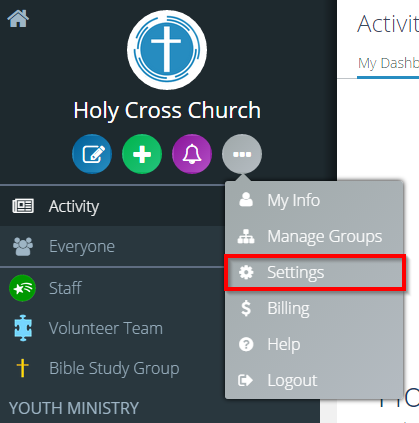 Oversight and documentation – Finally, most churches have no way for administrators or pastors to oversee all of the information being emailed out. There is no formal archive of it all if it ever needs to be referenced. And there is no easy way for them to monitor and keep tabs of what each ministry is individually sending out to their people. Flocknote solves every single one of these problems and makes it fun. 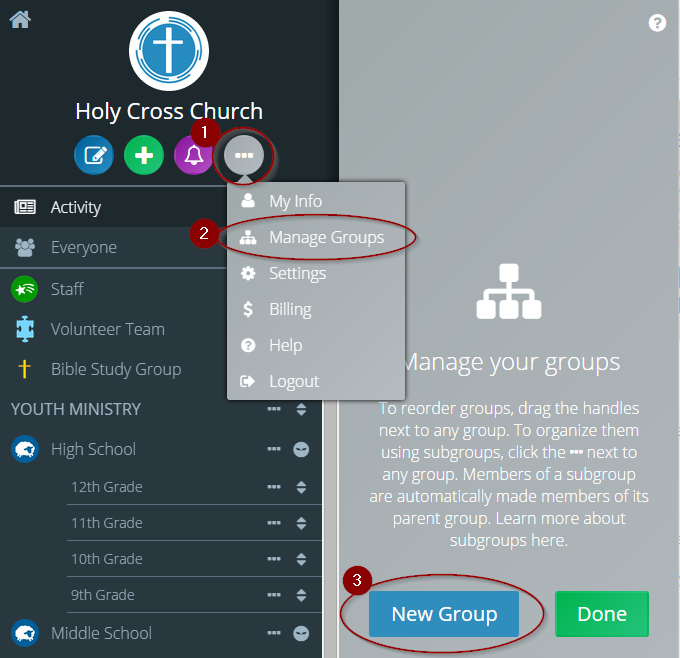 It also adds in the ability to do all of this with text messaging to large groups, too! 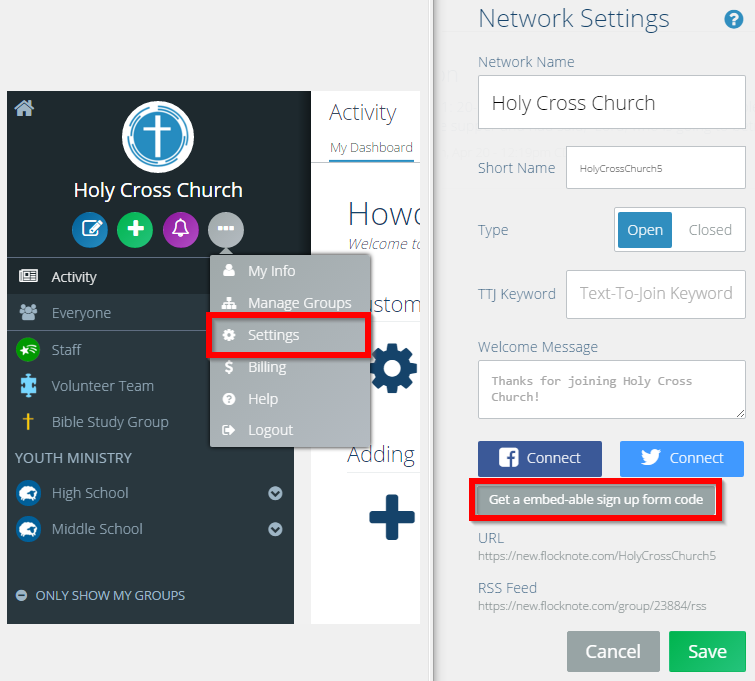 That’s why so many churches are switching to Flocknote. Let us know how we can help!